CD Launch and Star Studded Celebrity Concert Feat. Singer Deirdre Scanlan and Musicians. 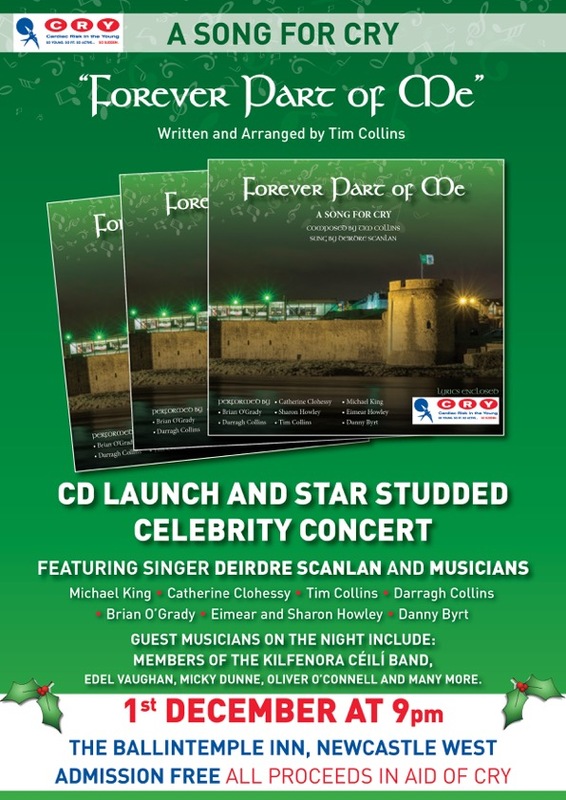 The song, Forever Part of Me, was composed by Limerick man Tim Collins, a member of the Kilfenora Céilí Band and a renowned national and international musician and composer. Deirdre Scanlan, also from Limerick, poignantly performs the song.